We specialize in the manufacturing of heavy duty 4×4 accessories and off-road products, such as bull bars, tow bars, spare wheel carriers, rock sliders, roll bars and custom built frames. ONCA Off-road Bull Bars and other quality accessories are the best there is! 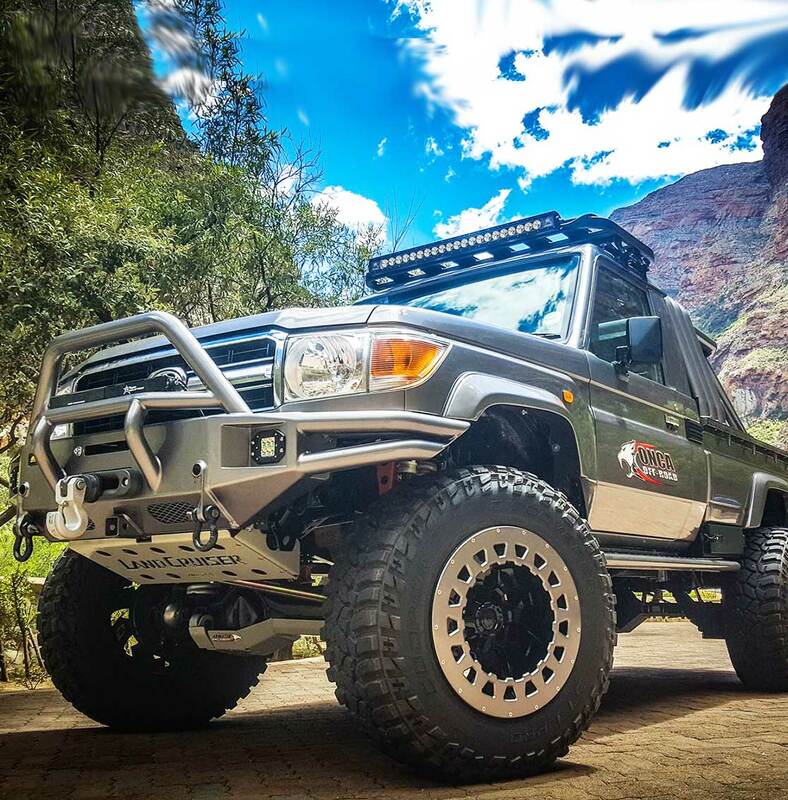 At ONCA Off-road Products we pride ourselves in providing 4x4 products and service that no other company can offer in South Africa. We specialize in the manufacturing of heavy duty 4×4 accessories and off-road products, such as bull bars, tow bars, spare wheel carriers, rock sliders, roll bars and custom built frames. We have continuously brought our customers paramount 4x4 accessories for over 14 years. Our experienced staff is devoted to 4x4 off-road activities and can definitely help with any 4x4 accessory decision you need to make. ONCA off-road products will not only improve your vehicles off-road capability, but will most definitely enhance your vehicles appearance as well!